The SITECOM WL-326 is an ethernet+3g router featuring 300 Mbps wireless and an usb port to connect a 3G modem. 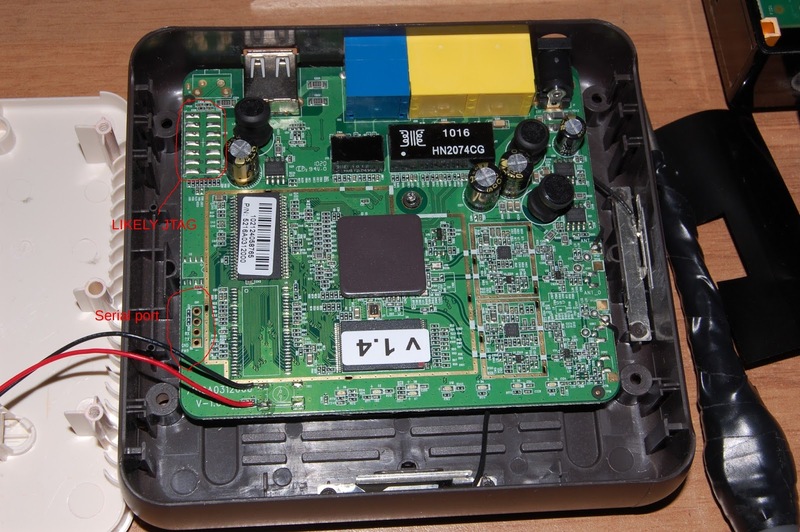 This device is not officially supported by OpenWRT and not very common, so there’s basically zero info on it at the moment. 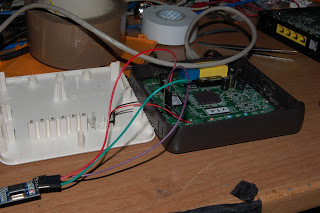 First thing is to find out which SoC it uses, since it is covered by an heat spreader, best idea that does not involve the risk of destroying the board is connecting an USB-TTL adapter to the serial port which is visible on the photos. 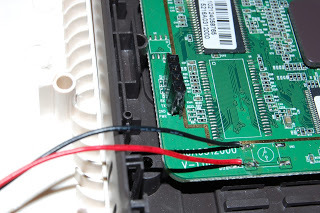 Luckly contrary to most cases, the PCB has already written on it which pins are RX,TX,GND, so it’s just matter of soldering a female o male strip header, and connect it to the adapter. 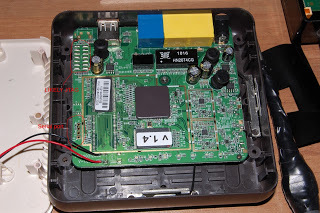 Serial port settings are 57600 8N1, and when connecting the power to the device, it’s immediately visible that it is a rebrand of another device, the ESR-6670 http://wiki.openwrt.org/toh/engenius/esr6670. Still no luck, it’s not supported either, but at least now we know what SoC it uses, which is Ralink 3052. Board: Ralink APSoC DRAM: 32 MB 1*32 MB ============================================ ASIC 3052_MP2 (Port5&lt;-&gt;None) Product Name: ESR-6670 SDRAM CAS = 3(d1835272) ============================================ Please choose the operation: 1: Load system code to SDRAM via TFTP. So the only option is just to try it, worst case scenario if it goes wrong we’ll have to reverse engineer the (likely) jtag connector visible on the photo. second one is the TFTP server IP, a default one will be shown. Now you can hit enter, and then it will ask the linux kernel filename, which is WRONG, that’s not the linux kernel filename but the uImage filename. Now the hard choice, finding a similiar enough device to flash this one with, and cross finger that it does not blow up, i’ve choosen the wr512 because it has too an usb port and an ethernet so, it’s worth trying. If it started succesfully, enter the choosen filename ( rd.bin or whatever it is ) on the serial console and hit enter, now it should flash it and reboot, but you are not done yet, because this is an image designed to work only on RAM , so any config change will NOT be saved. But since you should have an openwrt console now and the LAN ports configured to 192.168.1.1, ifconfig your machine’s interface to 192.168.1.2. Notice that now the downloaded file has “sysupgrade” in it and not initramfs-uImage. It will take like a min or two and then reboot automatically, after the reboot you will have the router at 192.168.1.1 again. Now login to LuCI interface, go to Network->Switch and you should see two vlans configured , vlan1 which is lan configured with the first port untagged and vlan2 which is wan configured to some other port untagged. 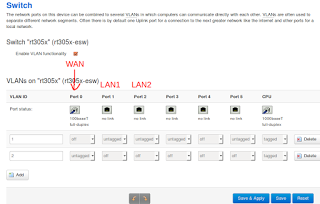 Now change on vlan1 the first port ( left to right ) , to off , and on vlan2 the first port ( same as vlan1 ) to untagged, and click save & apply. That’s because the router of which we flashed the firmware has the switch connected differently. That’s it now you are done , you can configure wireless and other stuff, just forget about 3G unless you replace flash memory, because it is likely that there’s not enough space on flash ( unless you build a version without LuCI and with 3g and then configure with CLI ).